Our Dormitory Rooms come in different sizes so you can choose to share with more or less people, depending on your travel style. All Dorms have their own en-suite bathroom, A/C to keep you cool and a balcony to soak up that beautiful Perth sun. We've got a locker for your valuables. All rooms include free breakfast and free parking. Fixed weekly rate of $150.00 for 7 consecutive nights in a 4 bed dorm. 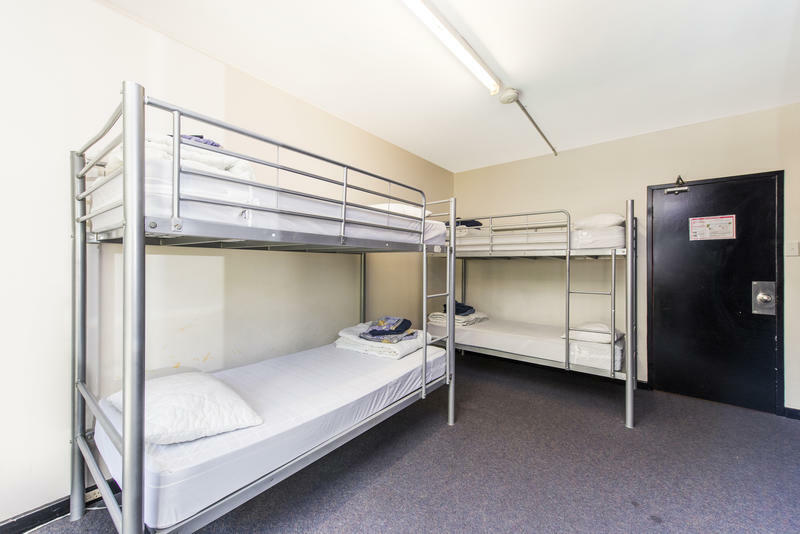 Bright, clean and secure backpacker dormitories. Our Deluxe Private Rooms have an en-suite bathroom, A/C, balcony and a queen size bed- perfect for a solo traveller or couple sharing. These rooms have been recently renovated with some fresh decorative features, make use of the free parking and enjoy a simple breakfast on us each morning to get maximum value. Stylish, uncomplicated living on Perth's best cafe strip. Our Standard Private Rooms take the no frills approach of a dorm but offer you a private space to relax and unwind. These rooms have a bunk bed, with a single top bunk and a queen size bottom bunk. They can be used as a twin for two people, a double for a couple sharing or as your own private room. They've got an en-suite bathroom, balcony, AC and come with free parking and free breakfast. They are a great option for the budget traveller who wants their own space. Cheap, flexible rooms for the budget traveller. We're a large property, with the capacity to accommodate almost any request. Get in touch with us directly and we'll find you a room that suits your needs; whether it's for a family, 3 friends, a large sporting group or anything in between - we've got the expertise and experience to make it work!